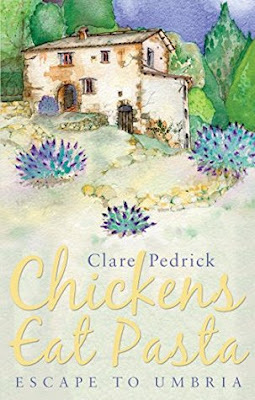 I’m delighted to welcome to the blog, Clare Pedrick, author of ‘Chickens Eat Pasta’ (published on 28 July). I have a copy of this book to read from Netgalley, I couldn’t resist requesting – I adore Italy, it has always been my favourite place for holidays and I love reading about the Italian way of life so this sounds just my cup of tea. I will have a review of the book on here very soon, but in the meantime, I have a guest post from Clare which I hope you enjoy. I always think it must have been a rush of blood to the head that made me book that plane ticket to Italy all those years ago, after seeing an advertisement for a house for sale in a newspaper, one rainy Sunday morning in England. I was still only in my mid-twenties, so it was fairly strange behaviour by any standards. As my maiden aunt put it, I was “buying an old house because I’d watched a video showing chickens eating spaghetti.” I certainly would never have made the decision if I had stopped to think about it in any detail. There were plenty of people who thought I was quite mad. When I say plenty, that’s actually an overstatement, as I no longer had any parents, and had just split up from my boyfriend of seven years, so I was feeling pretty fed up and restless. But I did have two brothers, and the older one was particularly concerned about my rash decision. 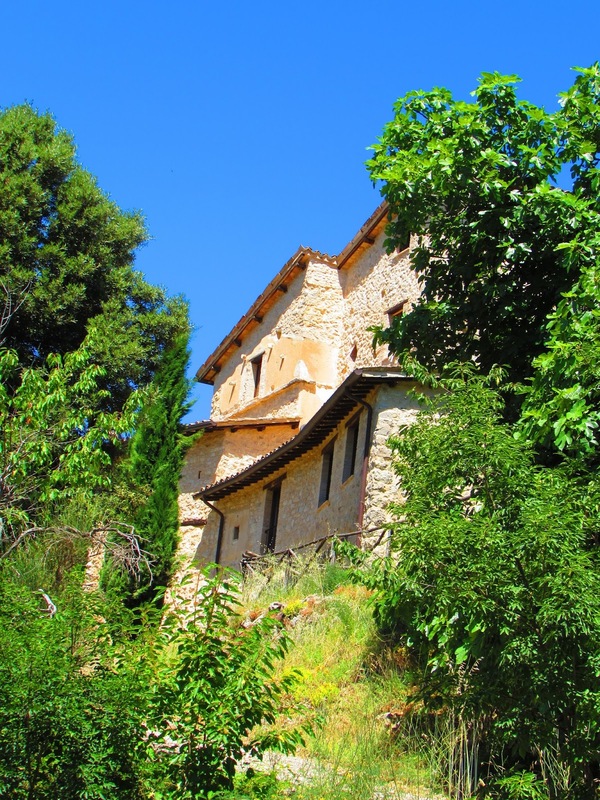 I well remember him asking me what my surveyor and lawyer had said, when I rang him excitedly from a public phone in a small Umbrian village to tell him that I had just bought a house there (I didn’t tell him it had no roof, no electricity and hardly any floors). When I replied that I had consulted neither, he reassured me that we were still in time to stop the whole disaster from happening. I told him that I had already written out a cheque, so there was no going back, and a deathly hush came over the crackly phone line. hours after arriving in Italy. It is perched on a knoll outside a tiny hamlet in the hills of southern Umbria, and I fell for it the moment I saw it. The book is written more as a novel than an autobiography, and that was a deliberate decision, which I like to think makes it a better read. It’s a love story really, with the house itself, and with a man I later met there – but that’s rushing way ahead. I had studied Italian at school, and subsequently at university in England. 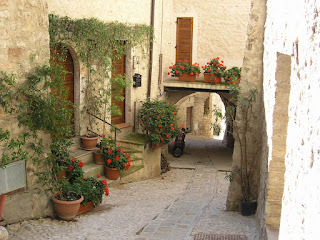 Though if I’m honest I didn’t have much idea of where exactly Umbria was. I certainly had no notion of how beautiful it would be. 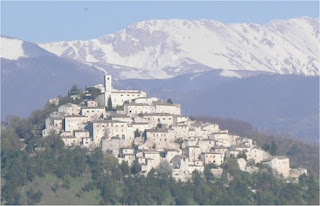 Although I spoke the language, I hadn’t bargained for the local dialect, which, as in many Italian regions, is very broad here, especially among the older generation. It’s not just a case of a strong accent, but people actually use different words, which can make communication very difficult. Added to that was the fact that my vocabulary was entirely unsuited to terms linked to the building trade – I was quite capable of discussing Dante’s imagery, but completely at a loss when it came to talking about cesspits and sewerage systems. 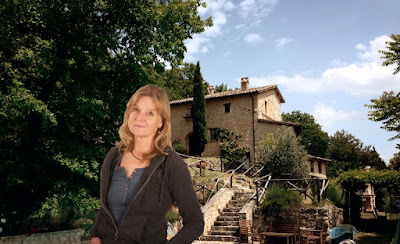 Of course I’m by no means the first person to write a book about doing up a property in a foreign country, but my story is very different from the best known titles in this genre. For a start, it’s not a syrupy tale of sunshine and happiness. Not everyone was kind to me, though I was incredibly lucky, and made some extraordinary friends, who looked after me and helped me through some very difficult times and encounters. Nor was it always warm. The climate in this part of Italy can be very harsh, with long cold winters, and for several years, my house had no heating whatsoever aside from the open fire, which was also the place where people would traditionally do most of their cooking. This part of Umbria is still very much off the beaten track and wonderfully empty, which is something I’ll never really understand, as it’s just an hour and a half’s train ride from Rome, and a very lovely train ride it is too, with olive groves and rushing streams and pale-coloured villages clinging to the mountains on either side. Not a great deal has changed in the years that I have been here, except my house of course, which now has a roof, and electricity and floors. I’m writing this from there right now. 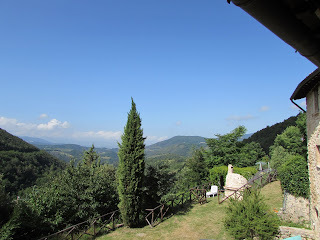 And the view from my bedroom window never fails to stop me in my tracks whatever I’m doing, and I just gaze into the rolling hills, which stretch forever and develop a mesmerising blue haze as the day wears on. Since that first restoration, the entire house has been taken apart and reassembled brick by brick, and each room lined with wire cages, so that the structure will flex instead of collapsing in the event of an earthquake. That’s another thing I omitted to inquire about when I first fell in love with the place on that November day. The village where my house is situated is in one of the most seismic areas of Italy, and you often feel tremors here, or hear the glasses rattling on the shelves. It’s just as well that I didn’t ask really. Or I may never have bought the old ruin. And if I hadn’t, my life would have been so different – and I think poorer – in very many ways.